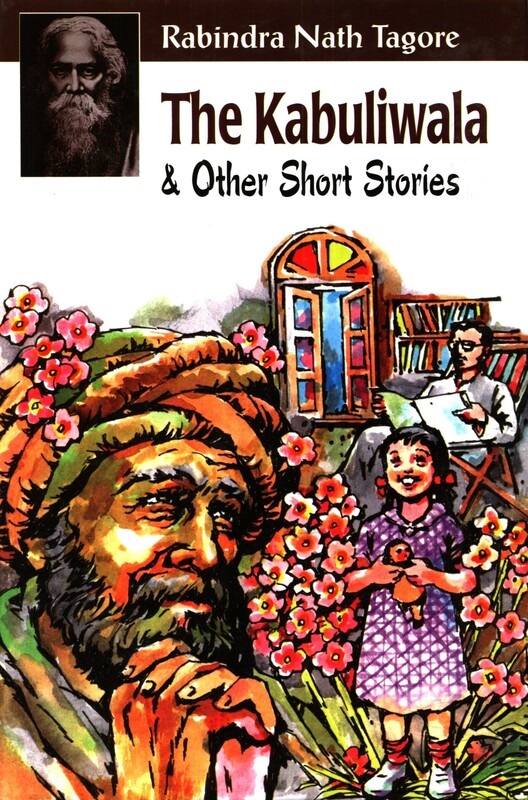 The book ‘Kabuliwallah Stories’ published by Penguin books India is a collection of short stories of Rabindranath Tagore in English translated by William Radice a faculty in Bengali in the University of London. Rabindranath Tagore, Bengali poet, short story writer, song composer, playwright, essayist and painter is the Nobel laureate in literature of 1913.He was highly influencial of introducing the best of Indian culture to the West and vice versa. In the opening story is on the Indian belief of myth overwhelming reality .The story is a satire in which a widow lady, Kadambini whose life function had been suspended for some time and people believed that she was dead .But when she regained her consciousness she found very difficult to believe that she was alive by seeing others attitude against her. She tried to prove her relatives that she was alive by cutting her brow and showing her hot blood. But they did not believe. So she threw herself into a well. Thus she proved it by dying that she had not been died! There is another story of an orphan girl, Ratan and a Calcutta boy who came to the village as a postmaster and he met the girl. They became close friends. The girl cooked for him and helped him. The postmaster too considered her. One day he decided to resign the job and return to his home. Ratan was shocked and asked to take her with him, but the postmaster was not in a position to take her with him. She couldn’t console herself, the separation of their relationship. So Ratan lived with the sheer pain of the lovely memory she had been in his shelter. There is another story of a stranger’s experience as a cotton tax collector at Barish .The stranger a co-passenger in a journey happens to wait for some time at a railway junction and he tells a strange story .The Reader is made to wonder whether his experiences were real. According to the narrator he had been visited by a ghost who belonged to a distant past . At the end of the story the reader also have similar feelings. The story is a pure fabrication from start to finish .A close scrutiny reveals that there is no supernaturalism in the story. Kabuliwallah is one of the stories in the book .In this story an Afghan fruit seller called Rahamat who comes to Calcutta and befriends a little girl called Mini. Mini becomes very fond of him and he likes her also .One day he goes to jail for killing a customer who did not pay for his merchandise .When he is out of jail after so many years he comes to visit Mini. But she had grown up and was due to get married that day. She forgot him by then. Then Rahamath remembered his own daughter of the same age whome he had not seen for many years. He then goes to his country with tearful eyes. These stories highlights themes such as love ,trust ,friendship ,loyalty ,class divides ,appearance ,reality and prejudice .The book brings together some of the best stories of Rabindranath Tagore .The stories convey a deep understanding of human relationship and a profoundly original vision of the world .Anyone who loves short stories should read this book, or you are missing out on a master of the craft. 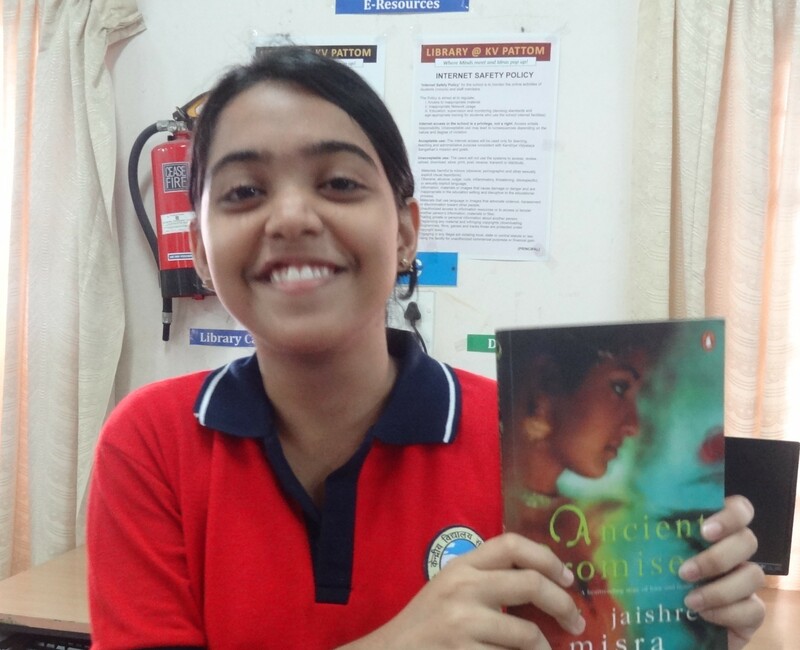 Reviewed by Arundhati P. A. 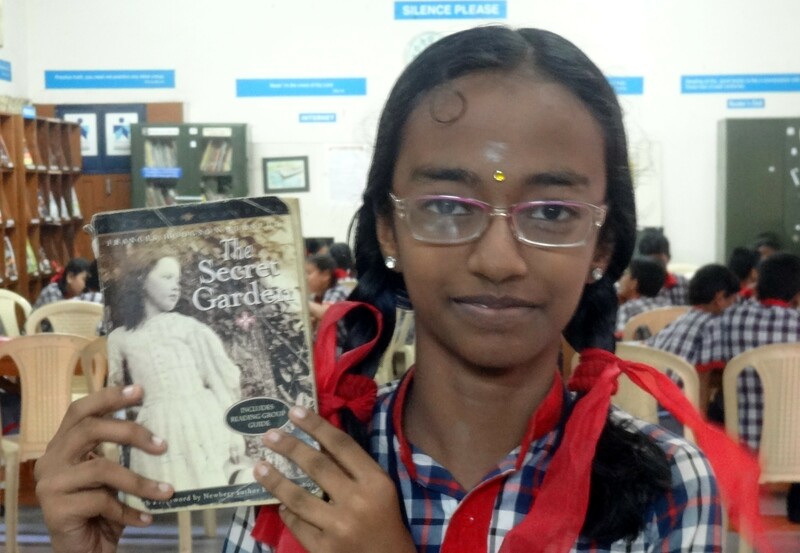 The Secret Garden is a wonderful novel by Frances Hodgson Burnett. In the beginning of the novel, the author carries us to the queer world of 10-year-old Mary Lennox, an extremely stubborn and selfish girl. The author describes her journey to her hunchbacked uncle, Mr. Craven’s manor in England after the death of her parents. At the manor, Mary involves herself to discover the secret garden which had been locked up for ten years since the death of Mrs. Craven with the help of a local boy, Dickson. The novel becomes more exciting when mary finds in the middle of the night in a prohibited room; her cousin Colin who couldn’t walk. Finally, Mary and Dickson discover the magnificent secret garden and Colin joins them. The author’s description of the children turning the garden into a wonder and nature making changes on the three is extremely beautiful. Nature plays a hidden but leading role in the novel. This book makes you think and laugh. The book has many other interesting characters too. “The Secret Garden” is filled with many inspirational quotes and wonderful descriptions of nature. My favourite character is nature because of its magical spell on the kids. I enjoyed reading the book and i recommend it to all my friends. 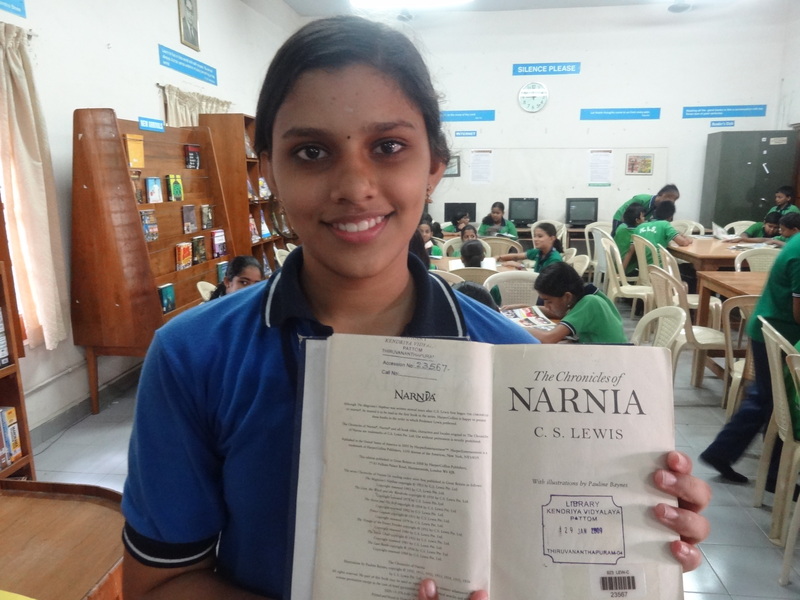 ‘The Chronicles of Narnia‘ is a fantasy story by C. S. Lewis. It consists of 7 chapters which are equally exiting. page after page the reader experiences a new turn and thrill in the book. This book is about Narnia, a dreamy world where animals and trees can talk, which is created by the great lion king Aslan. It all starts from Digory and Polly going to Narnia by accident and involve in the battles and come back through a wardrobe. Then comes the siblings Peter, Susan, Edmund and Lucy through the same wardrobe after many years then they discover that the queen who rules is not the real ruler of Narnia, and they also come to know that she has Edmund with her, and only Aslan can save their brother. So they go on searching for Aslan who is now missing. when he is found they go on for a battle and save Edmund and at last they save Narnia from the witch and from that day onwards they are known as the kings and queens of Narnia ,after many years (according to Narnia time) the children come back and is amused to know that the real time on earth hasn’t gone at all. on the next chapter comes a new person known as Shasta and two children and their talking horses, this is completely set up at Narnia at this time the siblings along with the Narnians save Narnia again.then comes prince Caspian and the siblings are called back to Narnia and once again all of them together fight against the prevailing ruler Miraz and once again save Narnia now that Susan and peter has grown u they are not any more allowed on Narnia. after that one day Lucy, Edmund and their cousin Eustace go on to Narnia and save the narnians from the dragon. In the second last chapter Eustace and his friend Jill go to Narnia to save the price Rilian who is price Caspian’s one an only child, at last they save him and came back to earth.on the last and final part of the Narnia series it tells about an ape called shift and a monkey called puzzle ( who is the master but he is controlled by shift)at this time when the siblings where going to go, Susan refused to go and said that she no longer believing in Narnia and those were things which happened at childhood like a game. At this time shift asks puzzle to dress in a lion’s form and pretend like Aslan. when people have confusion only some people like peter, Edmund, Lucy , Eustace ,Jill, Polly ,bDigory, jewel (the unicorn),King Tirian ( present king of Narnia) and some more support Narnia and believe the real Aslan . Atlast the world falls down and Narnia is washed away. then Aslan introduces the people who believed him and Narnia to a new Narnia where they say that “each chapter is better than the one before”after this C. S. Lewis was planning to write another part of this book known as “Susan in Narnia”.in which he would relive the Susan’s part of coming to Narnia. but unfortunately he died before he could complete or start. This is one of the best seller and one of the best story I have ever read,” where each chapter is better than the one before”. And a thrilling story but really hoped for the last chapter. It’s a Cinderella deferred kind of tale. An arranged marriage and a child intervene before the heroine (Janaki) is finally whisked away by first-and-only-love Prince Charming to that happy ending that signs off most fairy tales and, yes, the usual Mills and Boon candyfloss fare. Ancient Promises is the story of an affectionate and dutiful daughter, a compassionate but guilty lover, a restless and miserable wife, a helpless and despairing mother – a woman constantly in search of an identity, a woman pursuing her rightful share of happiness. Its the fascinating story of the protagonist Janaki’s long journey traced through a happy childhood, an unexpected arranged match, a traumatic marriage ending in strife finally culminating with the finding of everlasting love in true fairytale fashion. Janaki aka Janu is a Malayali Nair born in Kerala but raised and educated in far-away Delhi. She’s totally at home in these ’’alien’’ surroundings but constantly reminded of her roots and values. When she is 16, Janu meets Arjun , the local school cricketing hero and they become friends. Slowly but surely love blossoms but things take a nasty turn when Janu’s parents get wind of her romantic escapades. They whisk her away to native Kerala and arrange for her to marry a groom ’’handpicked by them’’ from the socially respected Maraar family. Janu is confused and unsure of her future with Arjun. Unwilling to hurt her parents, she agrees to the proposal and gets married to Suresh on her 18th birthday. Arjun leaves to the UK where he decides to pursue his college education living with his mother. Janu enters the typical, traditional matriarchal Maraar household where everyone is fighting for affections and acceptance. Her husband’s family resents her Delhi background and treats her as an outcast excluding her from household activities and discussions. To compound her agonies, her husband Suresh is very aloof and uncaring, more concerned about his business. A few years roll by and the family is still indifferent to Janu who now feels unaccepted and miserable. She hopes that the arrival of a child would change the family’s attitude towards her but when she delivers a mentally challenged baby girl Riya , the misery only piles on. 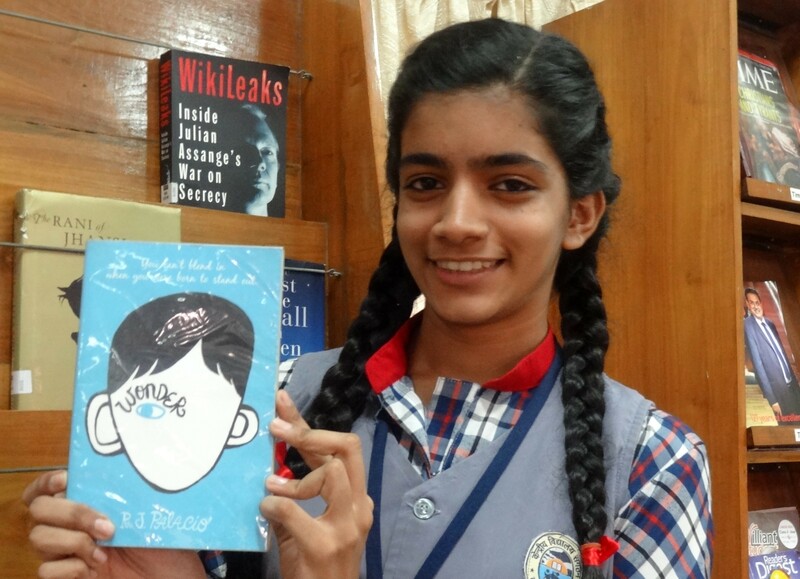 She raises Riya without any help and at the same time pursues her education. Her growing frustration in life worsens with her father’s death. Deciding to take matters into her hands, she applies to study abroad so that she can take Riya there and treat her. She leaves for Delhi to give a scholarship interview and chances to meet Arjun. Old passions are aroused and the couple realize they still feel deeply for each other. Janu promises to file for divorce to end the miserable marriage, flee with Riya to England and restart a new life with Arjun. But fate has other plans for her as Suresh refuses to part with Riya. Janu is forced to leave for England without her daughter. She arrives in England and spends a year studying and reliving lost moments with Arjun. But Janu is unable to come to grips with the absence of Riya in her life. She leaves England to return to India and fight for custody of her daughter. And as if by magic, Suresh reconciles himself to a divorce, hands over Riya and alls well that ends well. 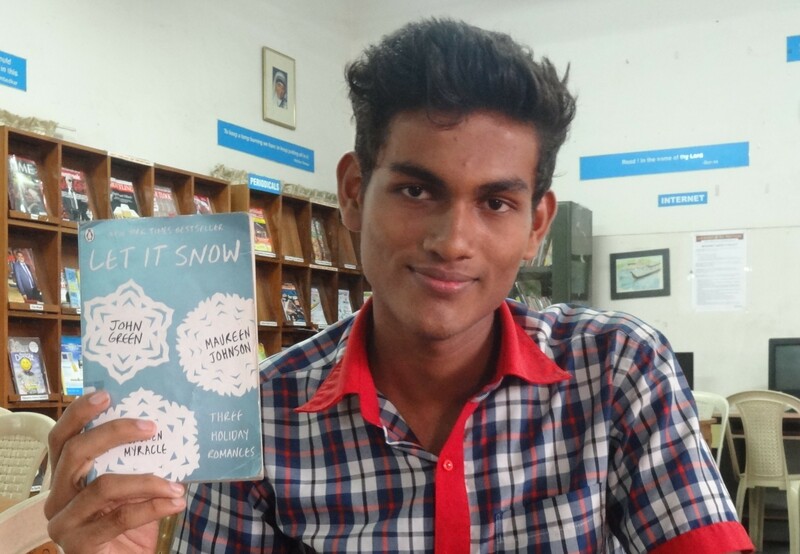 ‘Let it snow ‘ consists of three festive and inter-connected stories by bestselling authors ; John green , Maureen Johnson and Lauren Myracle. Each stories are extremely good . The first story is called ” THE JUBILEE EXPRESS ” By Maureen Johnson. Its about a girl called Jubilee who is her way to stay with her grandparents for Christmas when her train gets stuck in the snow in the small town of Graceland . There she meet an interesting character. This character come across later on this book………….! Next story is followed by John green ” CHEERTASTIC CHRISTMAS MIRACLE ” which features Tobin and his friends trying to get to the waffle house after finding out that fourteen cheerleaders have descended there after being stranded in town …….! The final story called ‘THE PATRON SAINT OF PIGS ” By Lauren Myracle.It centers around Addie who has promised who has promised to collect he friends teacup piglet but can’t seems to focus after having split up with her boyfriends jeb……….! Each story centers around the themes of love and friendship . They feature romance and new beginnings . What happens when friendship turns into something more. There’s the promise of forgiveness and starting over the characters in this stories concluding in a unexpected way …! My experience on this book was good and this book say a lot of love and romance which is really inter-connected with common life . In this book there is an real romantic heart touching line in this book and its in page : 19 last para…! 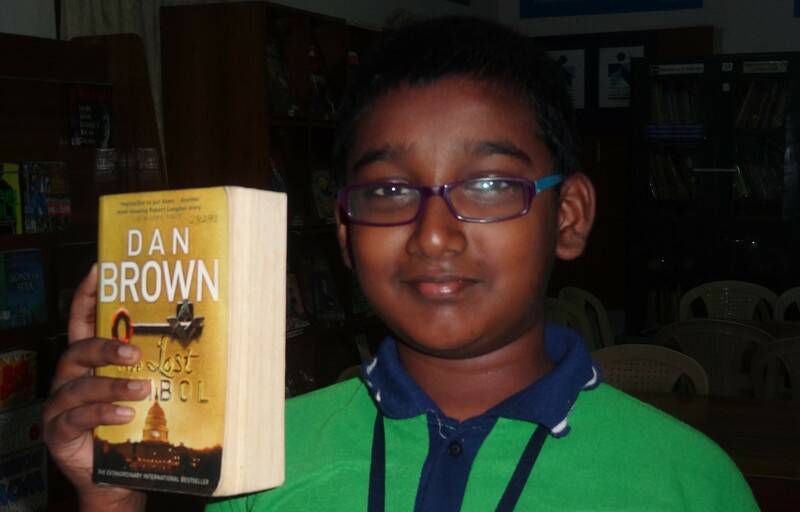 This fast paced thriller by Dan Brown describes the stunning adventure of a Harvard professor, Robert Langdon and a scientist, Katherine Solomon, in their daring attempt to save the world from slipping into chaos, all set in a time frame of 12 hours. The story begins with Robert Langdon’s arrival to Washington DC, to give a lecture about Masonic Symbols organised by Peter Solomon, Langdon’s friend and mentor. However, when he reaches the National Statuary Hall, the site for the lecture, he receives a nerve-rending call from a lunatic who threatens to kill Peter unless Langdon helps him uncover the sacred knowledge given from the gods to men in ancient times. He plans to use this wisdom to establish his rank and power in the hierarchy of demons and devils. To him, chaos was the natural order of nature. This man, who goes by the name of Mal’akh, forced the secrets of the highest order from Peter, using modern methods of deception and torture, who was also a member of the 33rd degree of Freemasonry. He sought information about the Masonic Pyramid, a legendary map which leads to the location where the Lost Word was buried. After acquiring information privy to only the most authoritative masons, he then gives these clues to following a trail of symbols to Langdon, who leads us through the deepest and darkest secrets of Washington DC. During his adventures, he enlists the help of Katherine Solomon, Peter’s sister and a scientist of Noetics, a fast-growing research field which gives proof of the much awaited link between the technological advances in the field of science and the mythical mysteries of the past. He also enlists the help of Warren Bellamy and Colin Galloway, both 33rd degree Masons and religious brothers of Peter. The CIA appears antagonistic in the beginning, but they all fight for the same cause as Mal’akh still has secrets up his sleeve which could cause a global revolution. With Langdon racing against time, with less than three hours to save a life and prevent global mayhem, this book is sure to be an eye-opener to the things we take for granted in our lives. However, like the ominous sayings of the masons, “Ordo ab Chao”(Order from Chaos), in the midst of all the chaos, Peter Solomon brings about Order by decoding the Lost Word of Ages, thus bringing a fitting end to a thrilling tale.